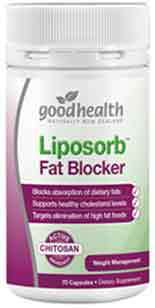 Liposorb is a fat blocking diet pill manufactured in New Zealand by Good Health. The company has been trading for over a century and is responsible for marketing an impressive range of products that includes vitamin pills, joint care capsules, sleep enhancers, bee pollen, and royal jelly. Fat blockers restrict the amount of fat the body can absorb from food. There are nine calories in a gram of fat, so anyone who uses Liposorb as part of a weight management program that includes healthy food choices should be able to lower their daily calorie intake. Cholesterol is a form of fat, so Liposorb has the potential to support healthy cholesterol levels too. The problem is, a lot of people who buy fat blockers do so because they see them as a kind of get-out-of-jail-free card that will allow them to continue overdoing it with high fat food and protect them from the normal consequences (weight gain + elevated cholesterol levels). Good Health’s promise of “guilt-free high fat treats” could be seen as encouraging such an attitude, but fat blockers are not a magic bullet for weight loss. Unhealthy living always incurs unhealthy consequences. Chitosan (500mg): There are two kinds of chitosan. The one used here is taken from marine crustaceans like as shrimps and prawns. Chitosan has value as a calorie-reducing aid because the body cannot digest it. This alone does not make it unduly special, but chitosan also absorbs fat. When chitosan is taken alongside food, it attracts dietary fat, absorbs it, and makes it indigestible as well. Vitamin C (Included as Ascorbic Acid) (100mg): Research involving guinea pigs suggests adding Vitamin C to chitosan may improve it’s ability to block fat. Further (human-based) research is necessary, but the combination does appear to have potential. How to Use – The manufacturer’s guidelines state two to three capsules are necessary before high-fat meals, but people who are trying to lose weight would be better off avoiding meals that are high in fat. We were unable to locate any customer feedback for this product. 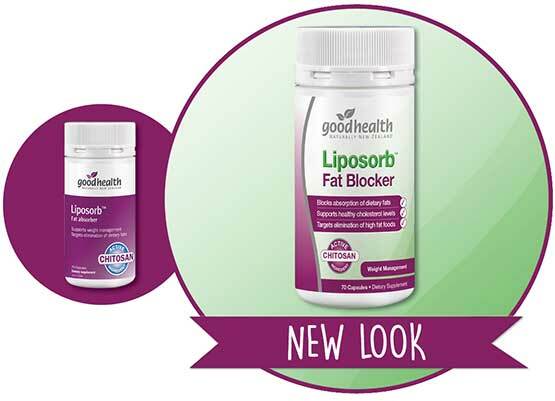 The chitosan used in Liposorb Fat Blocker is taken from marine sources, so this is not a fat blocker that is suitable for vegetarians or people with seafood allergies. Failing an allergic reaction, side effects are not likely, but using diet pills of this kind can deplete the body’s stores of fat-soluble vitamins. Liposorb will not be suitable for anyone who is vegetarian or has seafood allergies. No side effects have been reported, but using diet pills that block fat absorption can cause the body to run short of important fat-soluble vitamins. Vitamins A, D, E, and K are provided by dietary fat. The body cannot manufacture them or attain them from elsewhere. Although the body’s demand for them is much lower than it is for water-soluble vitamins, it still requires all of them to function normally and retain good health. This means ongoing use of fat blocking supplements will require the ongoing support of a supplement that provides the fat-soluble vitamins the body needs. A gap of at least two hours will need to be left between doses of the vitamin supplement and doses of the fat blocker. Some people find fat blockers more attractive than other forms of diet pill because they believe they will be able to eat lots of high fat food without risking weight gain. Liposorb is mostly marketed via online stores located in New Zealand. Pharmacy Online still has it listed in its online inventory, but when we checked the site it was out of stock. It’s possible that some of the larger pharmacies in certain territories may sell Liposorb or be able to obtain it, but most people may find the easiest thing to do is find a supplier in New Zealand that offers shipping to Australia. Good Health fails to provide customers with a money back guarantee. Is Liposorb a good fat blocker? The main ingredient is known to have value in this regard, so we have to assume that it is. Unfortunately, the fact that it blocks fat is not enough to make it a particularly good weight loss aid. Weight loss supplements are intended to “supplement” the efforts people are already making and help them obtain better results. For most dieters, eating less will cause them to be plagued by hunger pangs. A diet pill that suppresses hunger makes things easier by taking those pangs away. 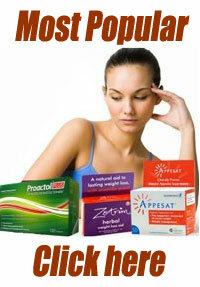 Fat burning diet pills speed up the metabolism and cause the body to burn calories more quickly. This helps people to lose weight faster. Fat blockers like Liposorb have a contradictory nature. Unless you are eating a reasonable amount of fat, they will have nothing to work upon and are unlikely to be of benefit. If you are serious about losing weight, the best thing to do is lower your fat intake, instead of trying to block it, and then supplement your efforts with a diet pill that’s a good all-rounder. 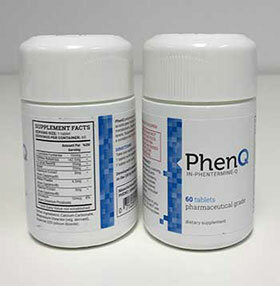 We suggest PhenQ.